On Wednesday, March 16th, 2016, members of Brooklyn Community Board Four voted in support of NYC DOT's proposal for the Bushwick Community Bike Network. 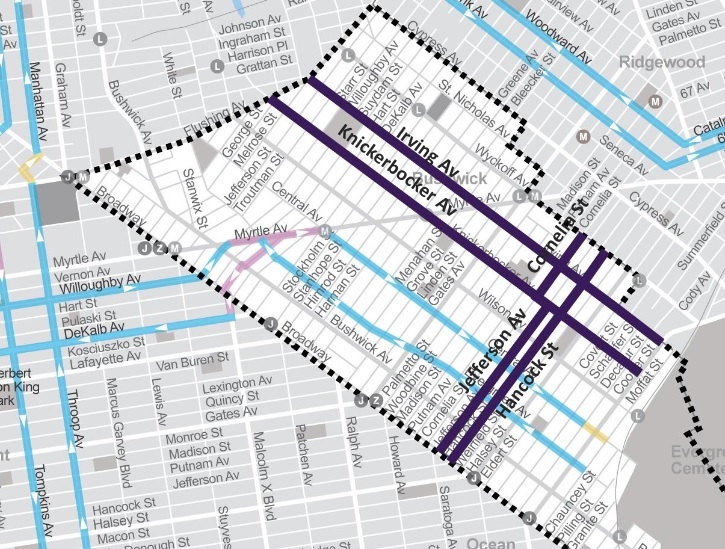 NYC DOT is confident that this plan will have a low impact on existing traffic patterns, create opportunities for more safety enhancements for all road users, and establish a reliable bike network that will serve all of Bushwick. Stay tuned for more news about the project's implementation!